The seventh edition of Learning about Dance: Dance as an Art Form and Entertainment introduces students to the exciting, daring, ever-changing, and dynamic world of dance. Learning about Dance presents all aspects of dance as an art form, including chapters on: the choreographer; the dancer; the audience; different dance genres, including ballet, modern and contemporary dance and dance/theatre, jazz, musical theatre dance, tap, world dance, social dance, improvisation, creative movement; dance in education, and careers in dance. Also features, information on dance and technology and dance production. 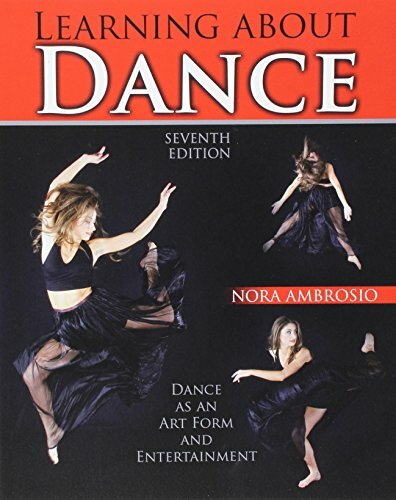 Incorporates dramatic photos and helpful charts that illustrate text information, including photos of some of the world’s leading dance artists. Presents an expanded chapter on Modern and Contemporary Dance. Promotes hands-on, experiential learning through the use of integrated creative projects. Discussion question are also provided that require the student to synthesize information and use critical and creative thinking skills.